Breakfast of Champions: Morning Oatmeal Recipe | The High Life Suite | Fashion. Food. Love. Every morning, I usually eat the same thing for breakfast…Oatmeal. I make it and doctor it up a bit. It’s sweet and delicious, which is why I don’t mind having it a few times during the week. And it’s quick and easy to prepare. Oatmeal is the breakfast of champions because it’s filling and gives you the nutrients you need to start your day off right. I love oatmeal!! Well, my oatmeal anyway. 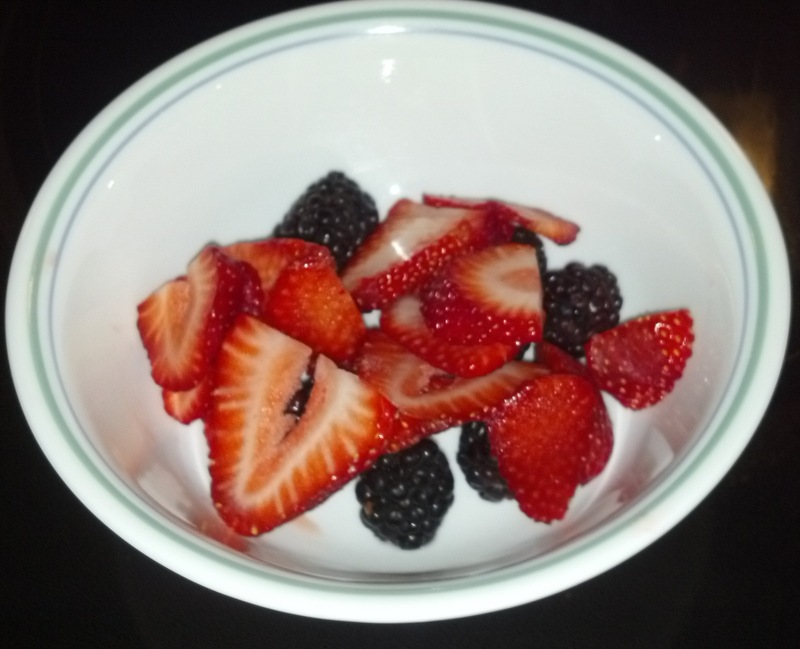 Cut up your fruit and place in a bowl. 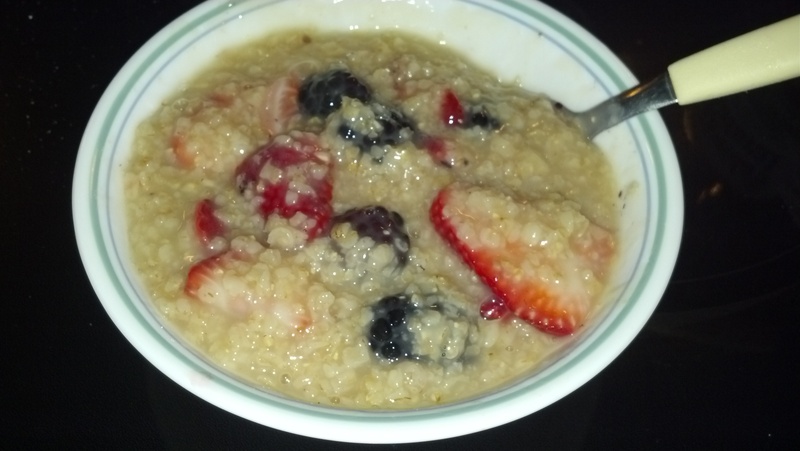 I always use blackberries and strawberries because I like their taste in this oatmeal. 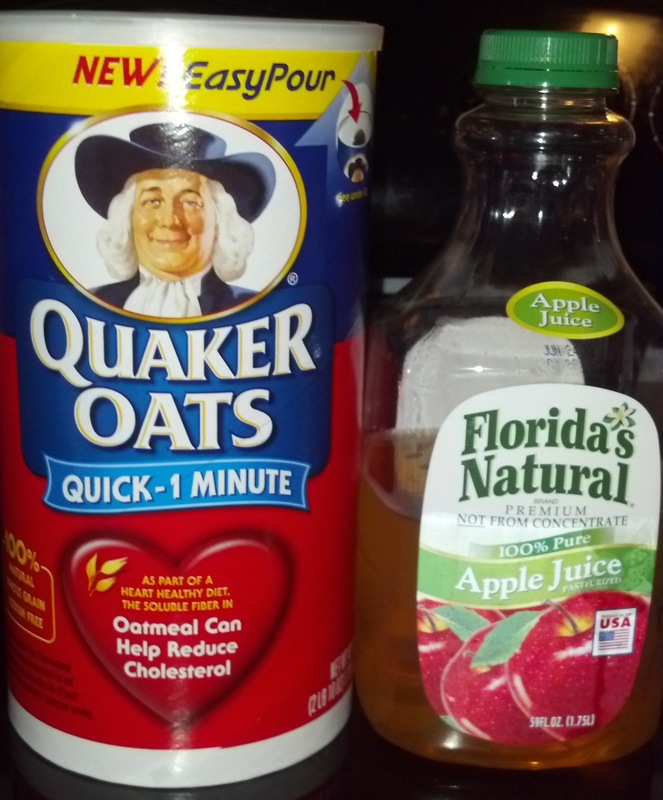 Once apple juice boils, place 1/2 cup of oatmeal into pot. Stir continuously. 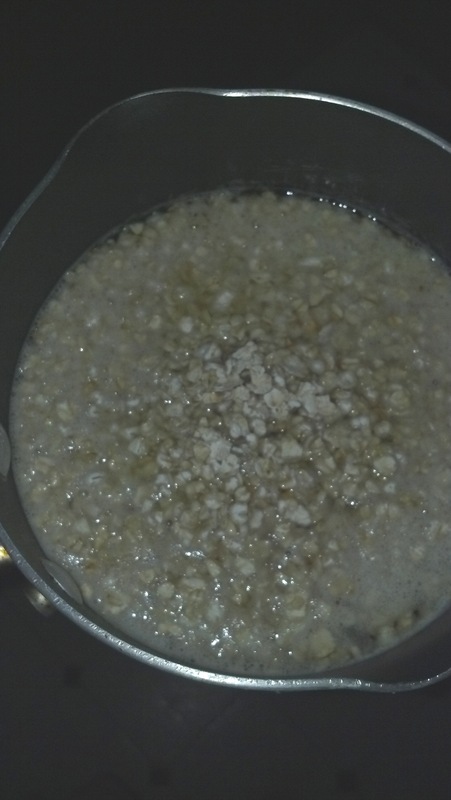 Stir oatmeal until your desired consistency. 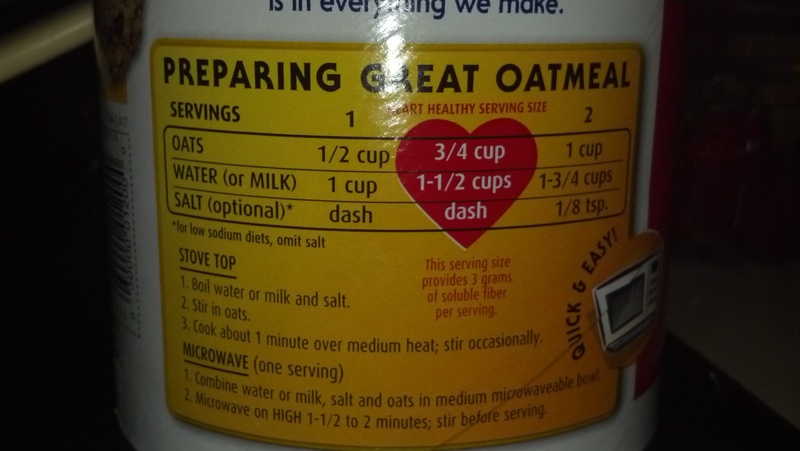 For thicker oatmeal, leave oatmeal on stove and stir longer. At this time, you may also add spices if you would like. 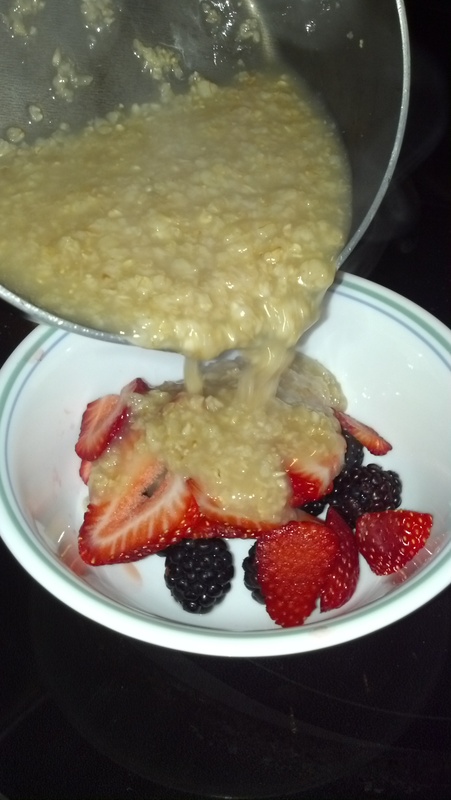 Pour oatmeal into bowl with fruit. Hope you enjoy this oatmeal as much as I do! Would love to know what you think!